There’s only a month to go until the incorrupt heart relic of St. Padre Pio, a Capuchin priest who bore stigmata of Jesus, touches down in the Philippines. The cities of Manila, Cebu and Davao are some of the stop-offs during the 20-day visit, from October 6 to 26. Fr. 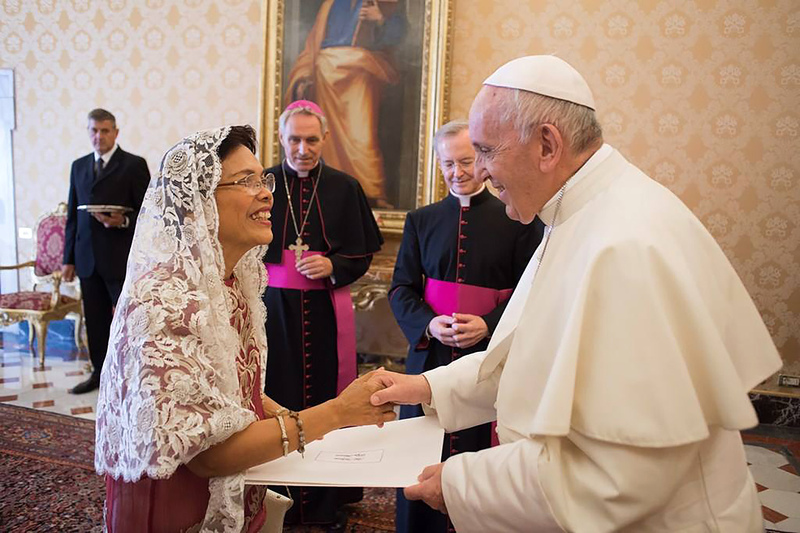 Joselin Gonda, Rector of the National Shrine of St. Padre Pio in Sto. Tomas, Batangas, said the visit marks two milestones in the saint’s life— the centenary of the appearance of stigmata on his body on Sept. 20 and his 50th death anniversary on Sept. 23. “The visit of the heart relic is a fitting epilogue to these two important events in the life of St. Padre Pio,” Gonda said during a press conference in Manila on Wednesday. “Besides, it is the Year of the Clergy and the Consecrated Persons. Padre Pio, given as a role model for them, can be an inspiration and challenge to us to have a heart like his, close to the Eucharistic and forgiving heart like the Lord,” he said. Cardinal Luis Antonio Tagle of Manila, by way of an informal suggestion in choosing the saint which will underscore the Year of the Clergy and the Consecrated Persons, suggested Padre Pio as the model. And in collaboration with the CBCP Episcopal Commission on the Clergy, chaired by Bishop Buenaventura Famadico of San Pablo, the historic visit is made possible through the initiative of the Archdiocese of Lipa. The Philippines will only be the fourth country to be visited by the heart relic. Others include the United States, Paraguay and Argentina. 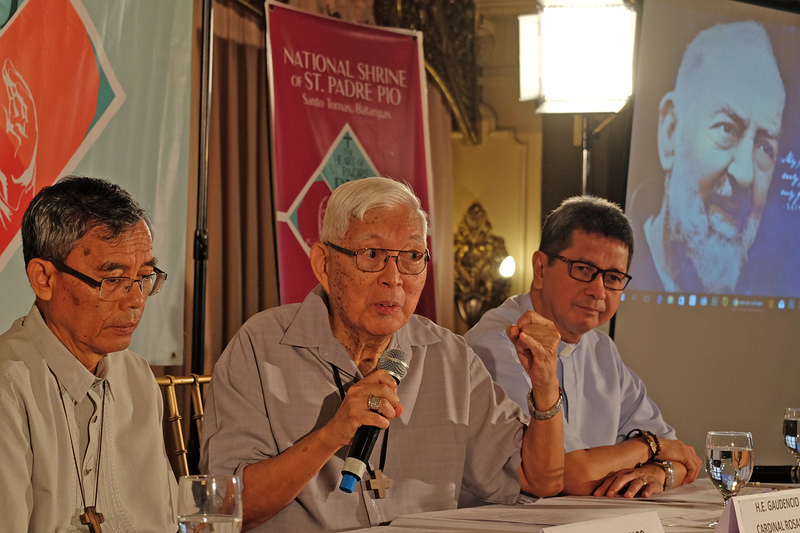 “This will also be a ‘time of grace’ for the Filipinos, especially the devotees of Padre Pio, who are now walloping in near hopelessness during these uncertain times of our nation’s history,” said Gonda. Archbishop Gilbert Garcera of Lipa has approved of the detailed plans of the visit, especially during its stay at the Shrine of St. Padre Pio, declared National Shrine by the CBCP in 2015. The shrine has been attracting thousands of pilgrims ever since, especially during Holy Week and every 23rd of each month, declared as special day for Padre Pio when they have Masses and healing liturgy. Gonda said a contingent of devotees from the National Shrine will fly to Italy a week before to fetch and accompany the relic to the Philippines. “We will be accompanied by two Capuchin friars to ensure the safety and orderliness of the visit of the heart relic to the different places in the country,” Gonda added. Since the visit is a nationwide event, the Luzon leg from Oct. 8-10 will be hosted by the Archdiocese of Manila, the Visayas leg from Oct. 11-13, by the Archdiocese of Cebu, and the Mindanao leg from Oct. 14-16, by the Archdiocese of Davao. From Davao, it will go back to Batangas in the morning of October 17, where a concelebrated Mass will be held at the San Sebastian Cathedral in Lipa City. After the Mass, it will proceed to the Capuchin Monastery at Brgy. San Sebastian, also in Lipa for the exclusive veneration of the Capuchins of the Philippines. From October 18, the relic stays at the National Shrine, and a round the clock venerations take place until its departure on October 26, after the 9am farewell Mass.